Home Uncategorized 12 Harry Potter Back to School Must Haves! Any self-respecting Harry Potter fan is going to want the best of the best gear for back to school. I have gathered 12 awesome items that are going to make it “magical” for kids to head back to Hogwarts or wherever it is they will be spending their school year. From lunchboxes to knee socks we have you covered head to toe with Potter fun and function! 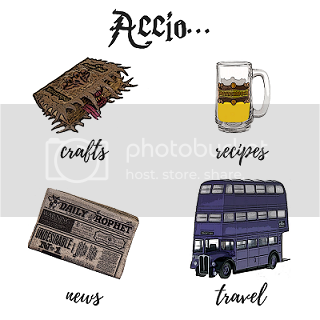 Harry Potter Decals – These decals are great for personalizing laptops, tablets, journals, folders, and more. Give your back to school gear a little touch of the un-expecto! Hogwarts Insulated Lunch Bags – This lunchbox is perfect for boys or girls that want to show off their Potter love and carry their PB&J’s in style. Bertie Botts & Jelly Slugs– Your average muggle wouldn’t consider these a necessity but I would argue that they are, can’t you see them as the perfect treat at the end of a Harry Potter Themed lunchbox? Gryffindor backpack– 10 points for Gryffindor! And 100 points for the cool mom that brings her kid this bookbag for carrying math books and pencils. Bookmarks– After school reading has never been so fun, I love these magnetic bookmarks with Harry, Hermione, Ron, and Malfoy to track your last page in any book. Journal– A perfect place to keep notes, secrets, spells, or draw this hardcover leather look Hogwarts journal is the perfect accessory for any witch or wizard! Wand Pen– Students can practice their LeviOSA with an amazing pen that doubles as a wand, write in their journals, or just do boring math problems. House Socks– Not gonna lie, I will be sporting these socks myself come fall, not even Dobby could charm them off my feet. Water Bottle– Magic potion or water? Either way this big 20 oz. water bottle will keep it safe and show off your wizard style. Backpack hangers– Kids love adding a little style to their book bags and clothes, if you have a Harry Potter Fan in the house these are a fun addition to back to school shopping. They can be kept or traded for other hang tags. Uniform Shirt– I may be biased but I don’t think there is a better choice for your first day back to school outfit than wearing a Harry Potter Shirt. Harry Potter Headband– Keep your hair neat and tidy with a Hogwarts headband. The perfect way to rep your house pride!